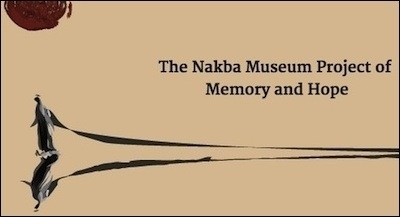 A "Nakba" Museum in Washington, DC? Originally published under the title, "1915-2015: Comparing a Century of Barbarity with 'Nakba'." No word on what the penguins signify. Bshara Nassar — a self-described "peacebuilder and social entrepreneur, a graduate of Bethlehem University, Palestine," with "a master's degree in Conflict Transformation from Eastern Mennonite University" – leads a campaign called the "Nakba Museum Project of Memory and Hope" in order to "bring the Palestinian refugee story to Washington, DC." The campaign, supported by Nonviolence International and Indiegogo, a crowd-funding organization, was launched in 2014 and seems to enjoy some popularity. A would-be parallel between the "Nakba" (the dislocation of Palestinian Arab society in the wake of the Arab-Israeli war of 1947-1948) and the Holocaust (the genocide of Jews operated by Nazi Germany) has been, for decades, a recurrent trope in the anti-Israel narrative. Concurrently, many anti-Israel activists, especially in the Islamic world, claim the Holocaust to be a hoax, while many others urge a "new Holocaust" or a "real Holocaust" against present-day Jews in Israel or elsewhere. A would-be parallel between the "Nakba" and the Holocaust has been a recurrent trope in the anti-Israel narrative for decades. As far as the Holocaust was concerned, however, crime was an end unto itself. Under the Nazi genocidal project, no Jew was allowed to survive, neither by renouncing Judaism nor even as a pariah or a slave, and in fact very few Jews in the Nazi-controlled areas managed to survive. Moreover, the annihilation of the Jews was to take precedence over Germany's strategic considerations, and did actually divert and waste crucial resources in manpower, energy, and transportation needed by German forces. Finally, the Jews were not just to be murdered: they had to be murdered in the most gruesome and sadistic way, not just with physical cruelty but with moral or mental cruelty as well. This is why the memory of the Holocaust and knowledge of the Holocaust is so important today, why so many nations, including present-day Germany, devote so much attention to it, and why there is a U.S. Holocaust Memorial Museum. The more one remembers such an ultimate tragedy and crime, the more one remembers — and understands — other tragedies and other crimes. The Armenian tragedy was almost forgotten or ignored for decades, even among European Christians. Pope Francis rightly marked, on April 12, the 100th anniversary of the Armenian genocide. So did, on April 15, the European Parliament. However, the Armenian tragedy was almost forgotten or ignored for decades, even among European Christians. It took the new context shaped by the Holocaust memorial effort to bring it back to full exposure. In fact, Holocaust memorial museums all over the world tend now to educate the public about all genocides — an exhibition about the Armenians was just inaugurated at the French Shoah memorial museum in Paris. Arab Palestinians underwent tremendous ordeals in the 20th century. But the "Nakba" was not the Holocaust. It does not even compare to most other collective tragedies in the 20th and early 21st centuries. For the sake of clarity and decency, one must delineate between (a) genocides (documented attempts to wipe off a race or a nation); (b) non-genocidal mass murders; (c) enslavement of large numbers of people; (d) planned dispossession and expulsion of large numbers of people; and (e) secondary effects of wars and other crises. In that order. The Holocaust qualifies under point (a). So does the starvation program against the Hereros (in German Southwest Africa shortly before WW1), and the further genocidal operations against the Armenians, the Iraqi Chaldeans, the black minority in the Dominican Republic, the Roma/Sinti in Europe, and the Tutsis in Rwanda. The "Nakba" does not compare to most other collective tragedies in the last century. The Soviet, Red Chinese, and Khmer Rouge domestic massacres qualify under point (b), as well as the Nazi treatment of European nations (like the Poles), the Japanese atrocities in China, and many further ethnic and religious massacres in the Balkans, South Asia, and Africa. The African slave trade and the slavery regimes in both Islamic countries and the Christian colonies in the Americas and elsewhere qualify under point (c). So do massive slave work programs in the Soviet Union, in Nazi Germany, in Maoist China, and in present-day North Korea. Qualifying under point (d): The U.S. treatment of many Native Americans in the 19th century; the French treatment of Kabyles in Algeria in 1871; the alternate expulsion of Turks, Greeks, and Turks again between 1912 and 1923; the expulsion of Poles and French from areas slated for German colonization during WW2; the expulsion of ethnic Germans from East Prussia, Transoderian Germany, and Czechoslovakia in 1945; the mass anti-Christian pogroms in Turkey in 1955; the expulsion of Christians and Jews from Arab or Islamic countries from 1956 on (Egypt, North Africa, the Middle East); and the expulsion of ethnic Greeks from Northern Cyprus. The Nakba should be chiefly considered under point (e): the mass flight of Arab Palestinians was a collateral outcome of the first Arab-Israeli war, which was initiated by the Arab Palestinian leadership of the day and six Arab nations. Even so, Arab Palestinian refugees, while often unwelcome in neighboring Arab countries, were given a privileged status by the United Nations and have been able to retain it on a hereditary basis to this day. 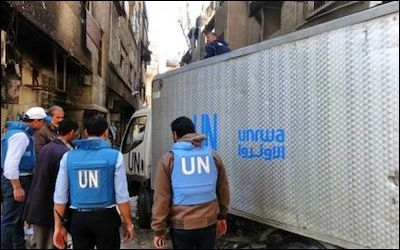 As an average, UNRWA — the United Nations agency that deals exclusively with Palestinian refugees — has been getting one third of the global United Nations budget for refugees over a period of almost seventy years. It is noteworthy that most Muslim victims come also under point (e), whereas Muslim powers acted criminally in many instances under points (a), (c) and (d). Likewise, it should be stressed that throughout the 1915-2015 period, Christians have been the largest victim group in the Middle East under points (a), (d) and (e), followed by Jews under points (d) and (e). Again, comparison of the Nakba with the Holocaust or with much of the above criminality of the past 100 years is parody rooted in anti-Israeli sentiment.